2017 BLB*BASH T-Shirt – Navy Station Shirt. 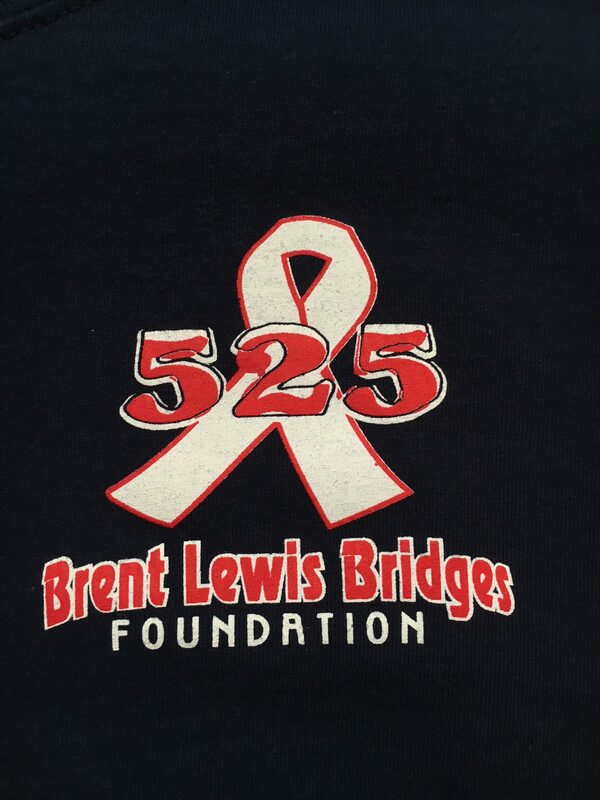 In thanks for a $20 donation, you get a t-shirt and a red, white, and blue wristband. Back – 2017 BLB*BASH Logo – #FightCRC. 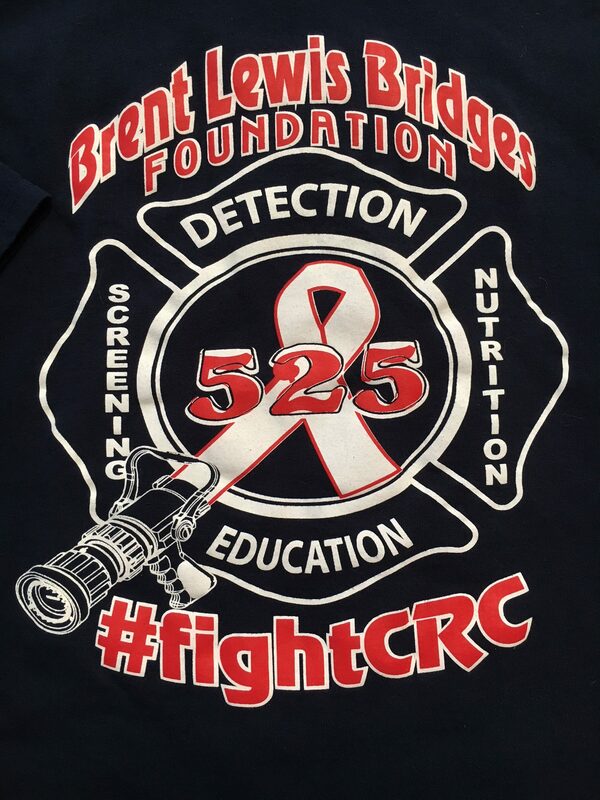 Brent Lewis Bridges Foundation – Detection, Education, Nutrition in Maltese Cross with 525 Cancer Ribbon/Hose Nozzle. 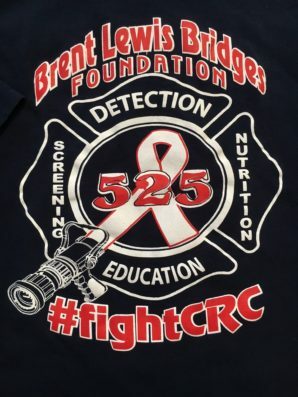 Support the cause, fight colorectal cancer in a 2017 BLB*BASH T – Navy Station Shirt. This limited edition T-shirt was printed for the 2017 BLB*BASH in Luckenbach, Texas. Get your collectors item while supplies last! 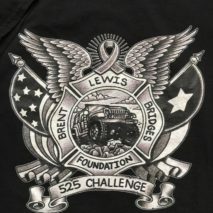 $20.00 Donation gets you a t-shirt and a BLB Foundation wrist band.